Radiohead's LP9 is proof that true love waits. A Moon Shaped Pool, Radiohead’s ninth studio record, is an astonishing and welcome addition to the band’s progressive repertoire. Like every album in the Oxfordshire quintet’s back catalogue, it is unafraid to delve into the unexpected and try things that even the band’s most steadfast fans will find refreshing. The fact that these are the same five guys that were awkwardly thrashing their way through Pablo Honey‘s ‘Anyone Can Play Guitar’ in the early nineties is almost unbelievable. The record begins as it means to go on, with the swelling strings and gravelly bass of ‘Burn The Witch.’ The synthesis of guitarist Jonny Greenwood’s solo work with the London Contemporary Orchestra (which features on the album) and Radiohead’s iconic groove can be heard in full effect here. These unfamiliar symphonic elements, like the retreating choral passage of ‘Decks Dark,’ so often take the spotlight on A Moon Shaped Pool. As per usual, Radiohead sound completely comfortable rejecting any regular sense of structure in their music. The droning bassline of ‘Ful Stop’ alongside the Boards Of Canada-esque synths will have you wondering why verses and choruses were ever invented. It’s a song that seems to build right up until it’s over, and yet there’s so much going on between the many layers of instrumentation that it begs for listen after listen. That density of different sounds is the common thread that ties A Moon Shaped Pool together, and such a deft unison of the acoustic and electronic is a rare thing to come across. 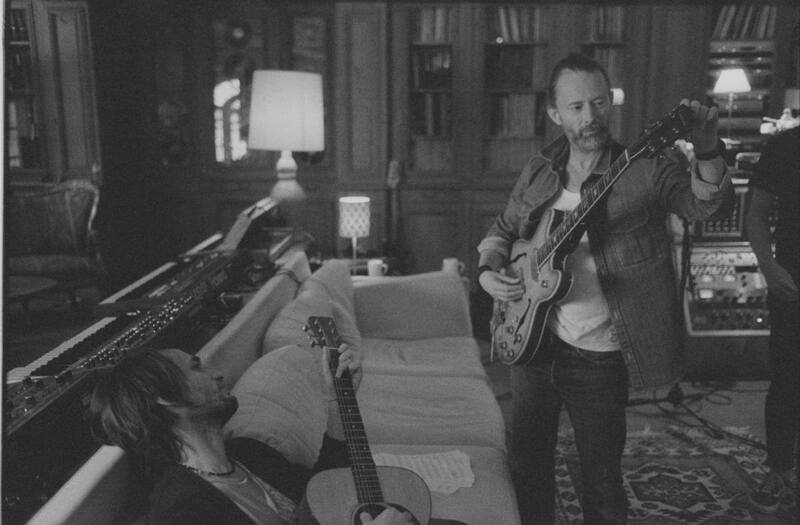 However, the record’s final and most poignant moment – the first studio recording of ‘True Love Waits,’ a track publicly demoed by Thom Yorke in 1995 – abandons the philosophy of making as many noises as possible work together. Instead, Yorke’s wavering falsetto is accompanied by two reverb-laden, polyrhythmic piano tracks. I’ve heard of quite a few fans being confused by the band’s decision to replace the original demo’s acoustic guitar with piano, but this epitomises the genuine surprise that A Moon Shaped Pool is; Radiohead even managed to turn a track in its twenty-somethings into a breath of fresh air. Even so, what really seals the deal with this record is the new, with ‘Identikit’ and ‘Tinker Tailor Soldier Sailor Poor Man Rich Man Beggar Man Thief’ offering endless hooks that should earn a place in any Radiohead set list from this point on. The ominous, lo-fi thudding that introduces the latter song gives way to a descending string arrangement that feels more sophisticated than many people might expect. The cumulative decades of musical experience between these five guys, both in and out of Radiohead, can be heard coming together on this album in a brave and exciting way. It’s a record that leaves you with questions to ask. What is Thom Yorke actually saying in the reversed mantra at the end of ‘Daydreaming’? Why are the tracks in alphabetical order? What’s going on at the start of ‘The Numbers’? A Moon Shaped Pool is an enigma that deserves a listen whether you’re already a fan of Radiohead or not.